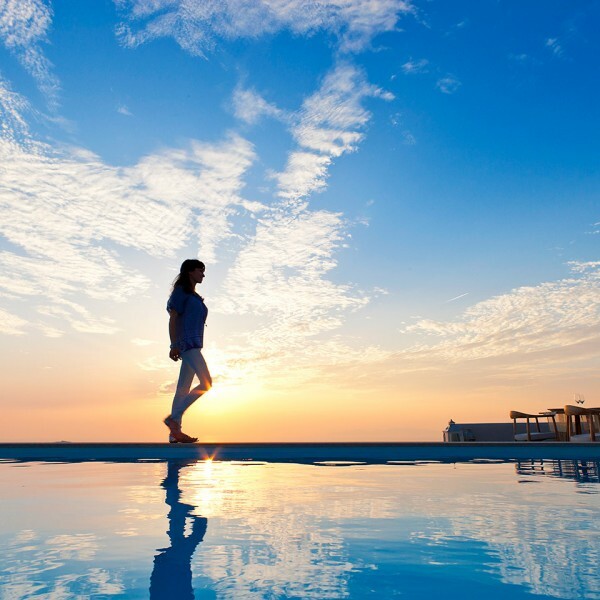 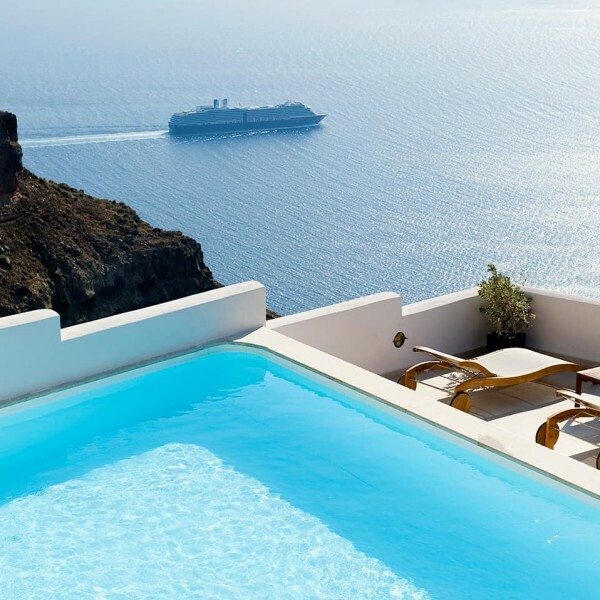 The hotel’s stunning swimming pool is set on the rim of the Caldera offering spectacular views of the ceaseless horizon and the cobalt Aegean Sea. 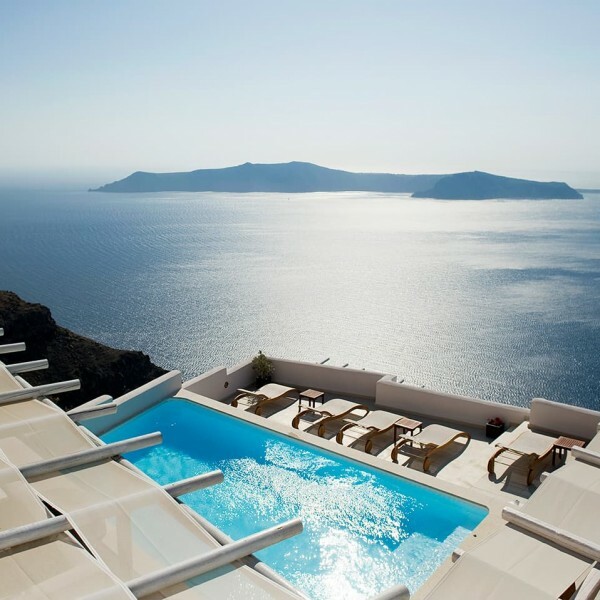 Overlooking the famous rock of Skaros and the thrilling volcanic scenary the newly established Caldera view suites hotel offers a relaxing getaway in Imerovigli, one of the most picturesque settlements in the enchanting island of Santorini. 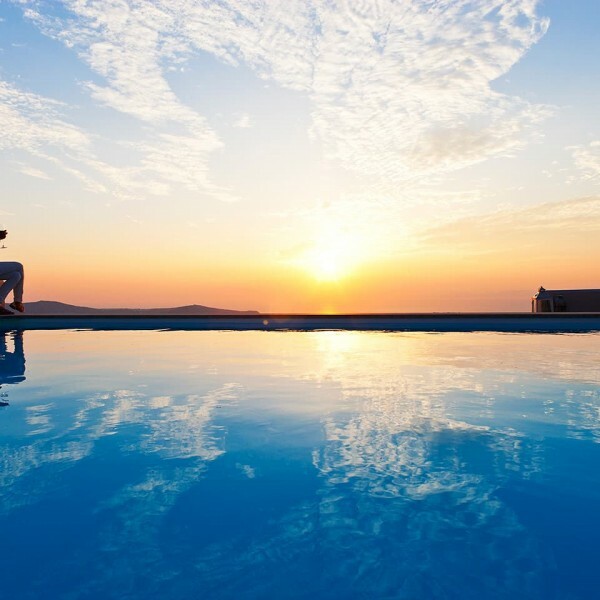 The pool lounge area around the sparkling swimming pool is complemented by a pool bar and pool restaurant and it is fitted with comfortable sun loungers allowing peaceful contemplation of the soul-stirring Caldera view. 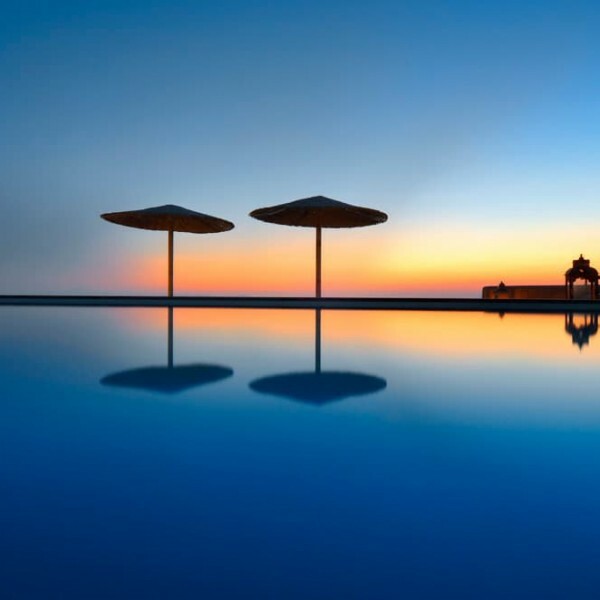 Guests are invited to relax in the warmth of the sun and unwind with a refreshing cocktail at the pool lounge adjacent to the hotel’s dazzling swimming pool. 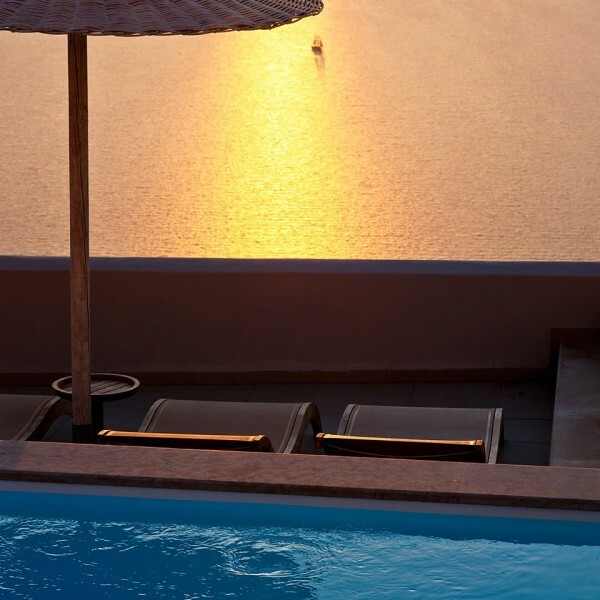 The volcanic island of Santorini is rightly renowned for its irrepressible romanticism and the unparalleled iridescent sunset. 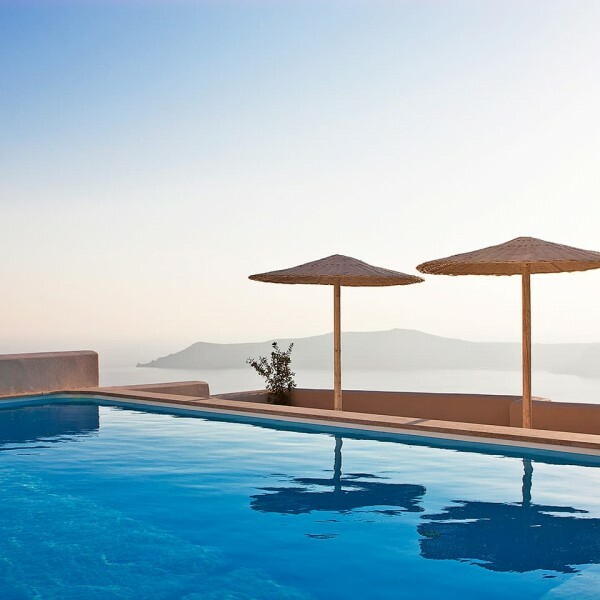 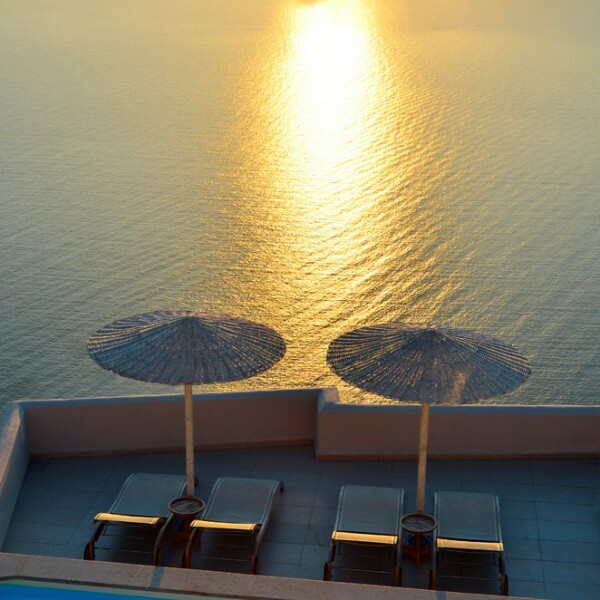 Surrounded by Santorini’s exhilarating landscape the luxury Gold suites hotel in Imerovigli facing the Venetian ruins of Skaros exudes grandeur in the most welcoming and refined atmosphere and creates an ideal setting for spectacular poolside weddings.